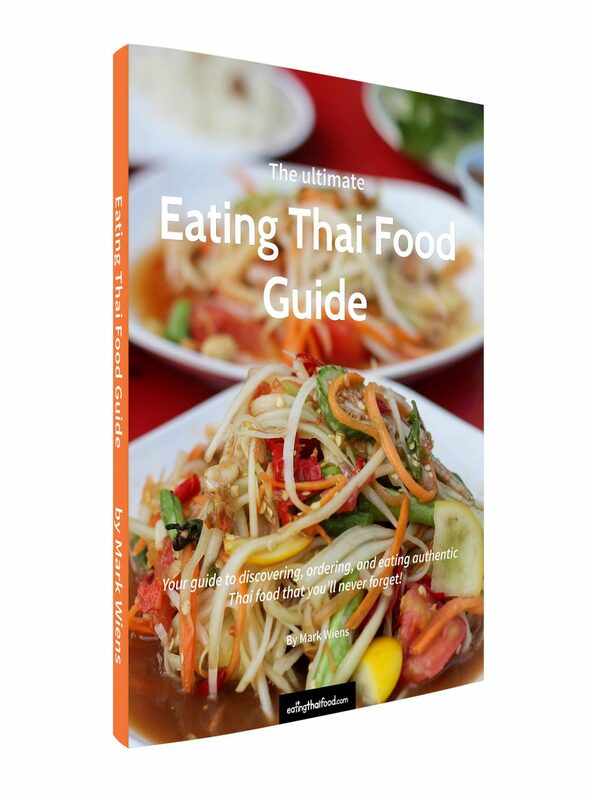 The Ultimate Eating Thai Food Guide eBook (2017 Edition) is your comprehensive guide to eating the best Thai food! 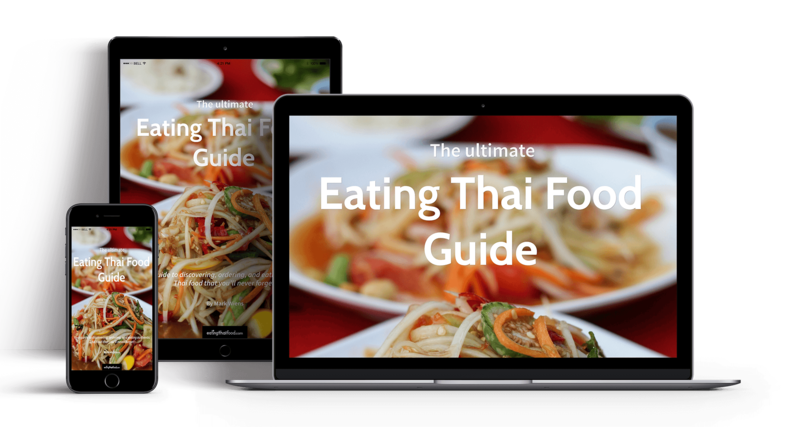 If you're coming to Thailand for the food, this guide will help you learn the ins-and-outs of Thai cuisine, how to find and order specific Thai dishes (with restaurant suggestions), and how to eat Thai food the Thai way! 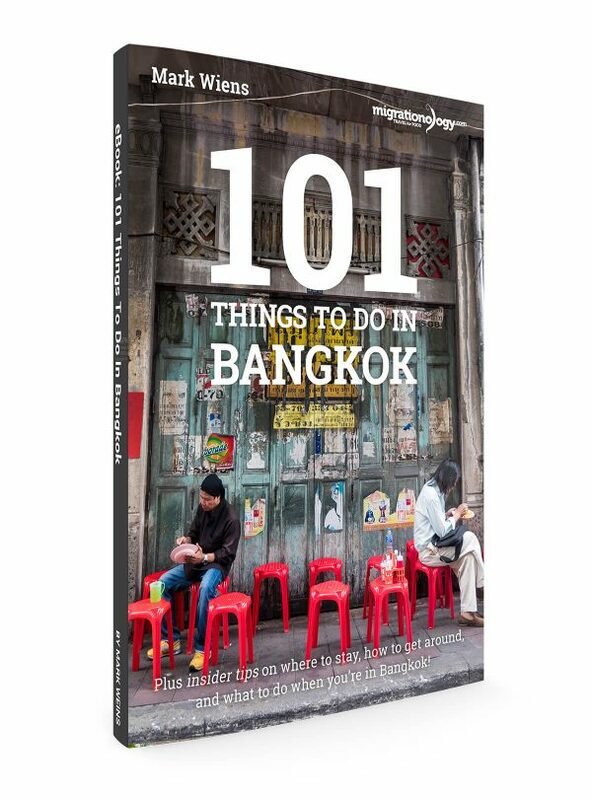 Here are a few of the major things you’ll discover in The Ultimate Eating Thai Food Guide. 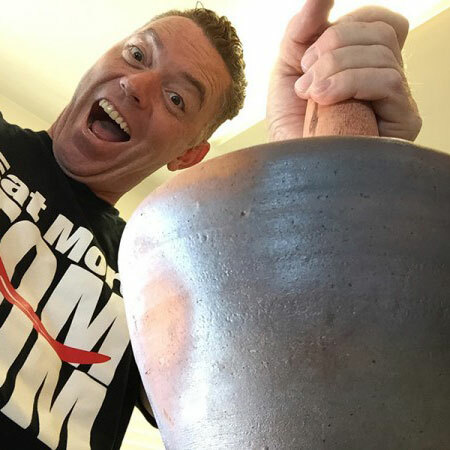 Get ready to order and eat Thai food the Thai way! 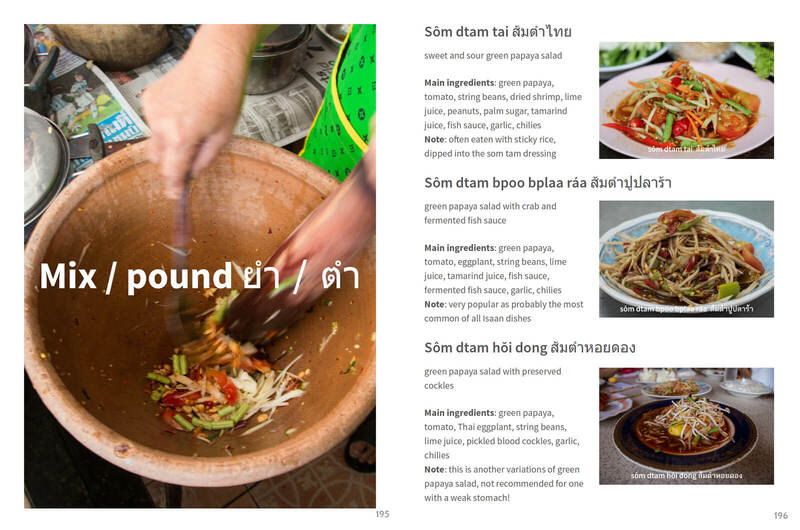 The eBook is designed to be easy to read and scannable so you can easily order Thai food. 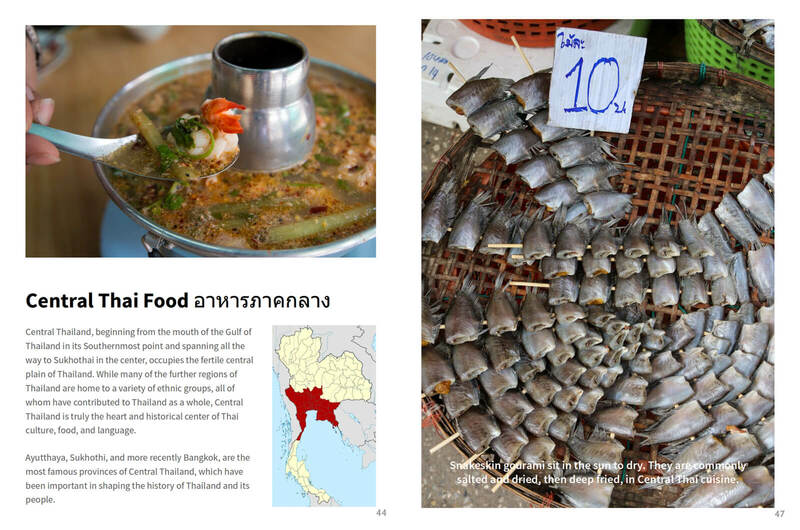 Additionally, you’ll find hundreds of photos that illustrate each Thai dish and idea included in the guide. You’ll be able to download in both PDF and EPUB formats! 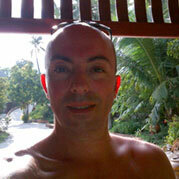 This is NOT a printed book, but it’s an eBook in PDF & EPUB formats. 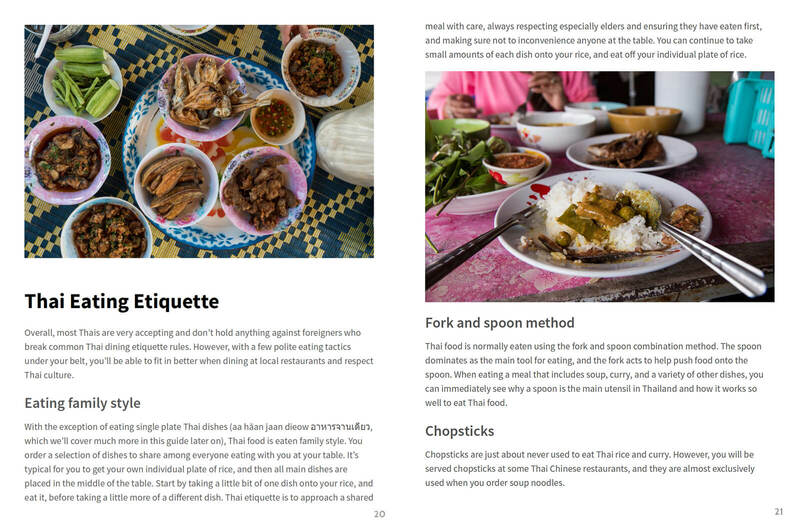 The benefit of an eBook is that as soon as you checkout, you will be able to instantly download the guide in digital format and read it from your computer, tablet, or mobile device. 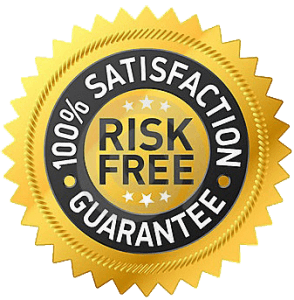 If you’re not happy with your purchase or if it’s not what you were expecting, just let me know within 30 days of your purchase, and I’ll give you a full refund with no questions asked. 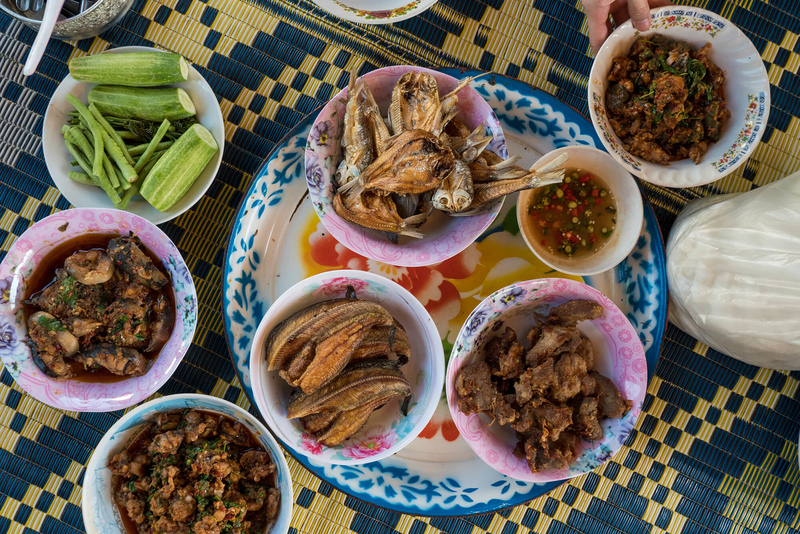 If you love to eat, Thai food is going to be the highlight of your time in Thailand!